Packing up the house… AGAIN!!! We are, once again, in the process of packing up the house. We’ve collected boxes from friends and neighbours (which you can see stacked up in the picture above), we’ve collected all the bits and bobs you need for packing – paper, tape, labels, sharpies, bubble wrap and our control centre, and the packing has commenced. We are well practiced at moving, and we have decluttered so much stuff in the last few years that I am hoping that this will be the easiest move yet! I have taken the brave step to list my potting shed on ebay – I do love gardening, but with a very transient lifestyle I need to find a way to get all the joy out of this hobby without needing so much gear that takes so much effort to move from house to house. I’ll be sad to see it go, but relieved that I won’t have to spend time constructing it and deconstructing it at each house we live in. I’ve also really enjoyed living for the last couple of weeks with my cupboards half-empty. I’ve packed up / sorted through the things I don’t use often or won’t use before we move house, which has left much more space and light in my storage spaces. I love it. I wonder if I can be brave when we get to the other end, and either declutter further or think about how to put some of those items in deeper storage..
It’s a long time since I have posted a Simple Pleasure post, but this qualifies. 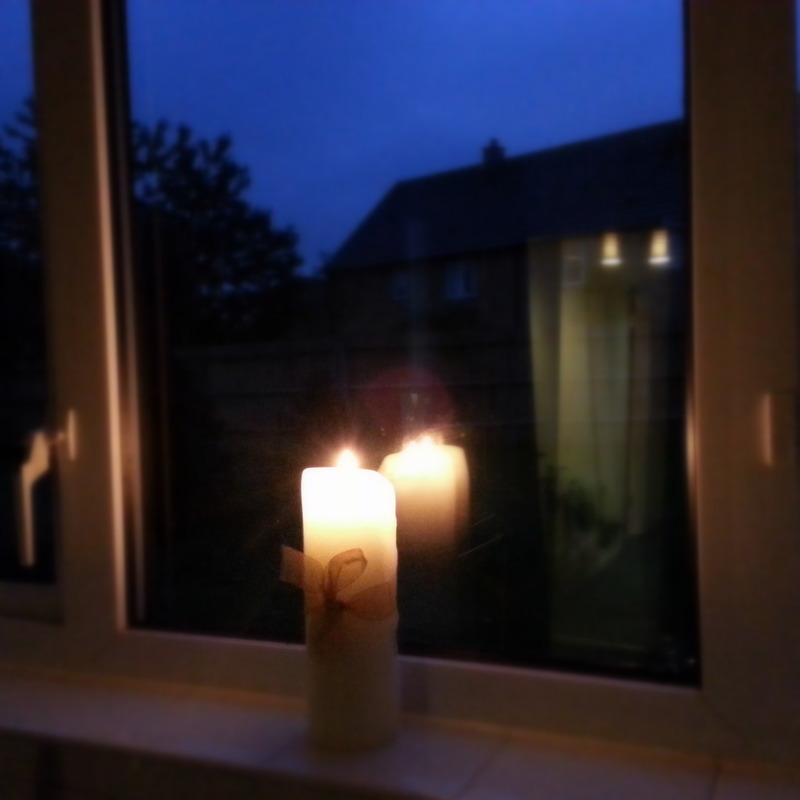 This is our kitchen window on a late summer’s evening. I’ve had a lovely, quiet bank holiday weekend with my hubby and dog, and this is a peaceful close to that weekend. Beautiful. I couldn’t help myself.. While we were away on our camping holiday, we did a declutter. In addition to giving away the random items above, we also threw away and swapped some stuff..
We threw away about 25 bent tent pegs – there’s no way we would ever have bothered to straighten them, and they were not usable in the state they were in, so why were we carrying them around? We also got rid of some poles that came with the tent when we bought it on ebay, but don’t appear to belong with it. I suspect that the previous owners had added them for some reason. We gave our existing HUGE camping chairs to a charity shop, and bought some slighter smaller ones – hey presto, much more room in the tent and much more room in the car when packing up. Genius decision. 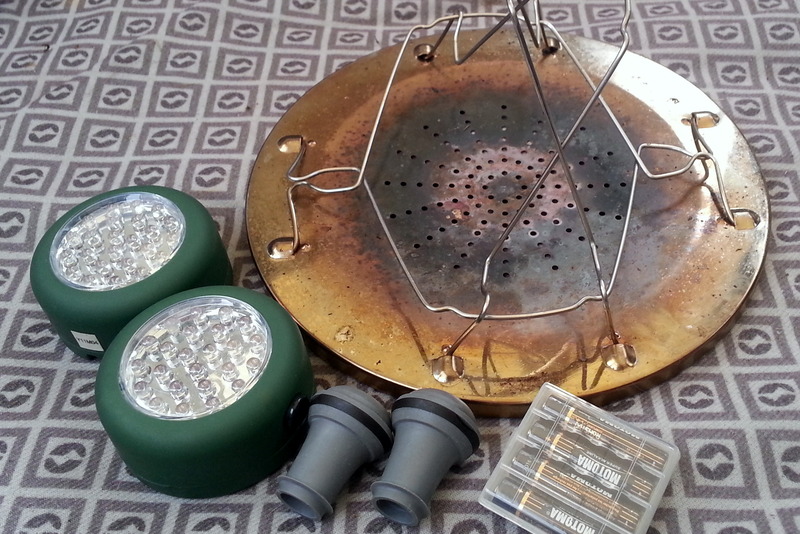 And finally, we threw away a stove that had melted, and had very little umph, and replaced it with this.. 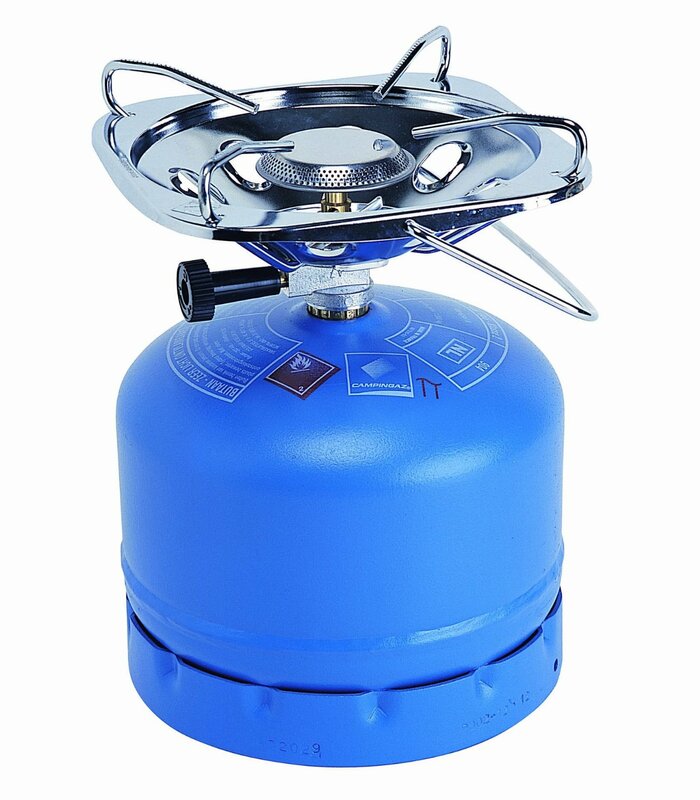 Despite the fact that you have to carry the gas cylinder around, we don’t really need to worry about spares for a while, it’s super powerful so it doesn’t take forever to cook pasta, and the actual stove part packs down nice and small and fits in our existing camping kitchen bag..
As a keen crafter, I have boxes and drawers and bags of wool, fabric, cotton and stationery stashed all over the house. Admittedly, I do have less than before as I have been quite strict with myself while doing the first round of decluttering. l have already listed some wool and knitting needles on eBay – stuff I knew that l wouldn’t use or didn’t like. I have also been quite disciplined in not buying any more wool (with just one exception this Christmas) for a good couple of years now. My downfall is definitely stationery, but I will tackle that in a later post! This blanket (pictured above) though, is a personal success that I would like to share with you. I have been crocheting it on and off for about five years. It is made up of remnants of wool leftover from other knitting and crochet projects – jumpers / tops that I have knitted for myself, a jumper that I knitted for my husband, a scarf I made for a friend, a blanket of squares that is on my sofa, a camera case, and toys and hats that I have made for my nephews – as well as the wool for a project that I started some 15 years ago, decided l didn’t like and had been tucked away in a cupboard for years. While I am making it and once it is finished, this blanket will bring back memories, remind me of family and friends, and take me back to the various places I knitted the originals – in the blazing sun, camping on the lsle of Wight, on the train on the way to work, at the knitting club at the wool shop in the village we lived in when we were first married. In addition, it’s a great reminder to me that I can have fun and do my hobbies using the things I already have – there’s no need to go out and buy any more supplies for the time-being! I am a total stationery nerd. I think it might be my biggest obsession, and therefore also my nemesis when it comes to minimalism. These were part of a set of little clips that my first ever manager gave me 15 years ago. 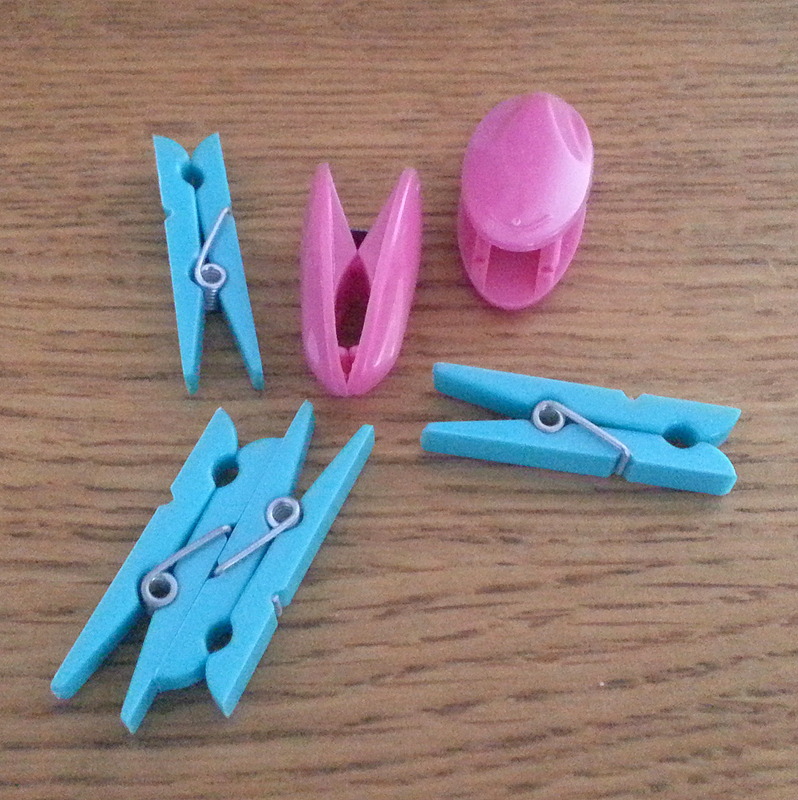 For about 9 years I never used them – they were too special and cute to use for every day holding pieces of paper together. Then I used to clip them on my shoes / boots when I’d worn a pair, so that at the end of the week I knew which shoes needed cleaning. I haven’t done that in a few years – so these have been sitting in my jewellery box unused. This shows that it is a reality that you can see an object every day and overlook it, not even realise that you don’t need it. 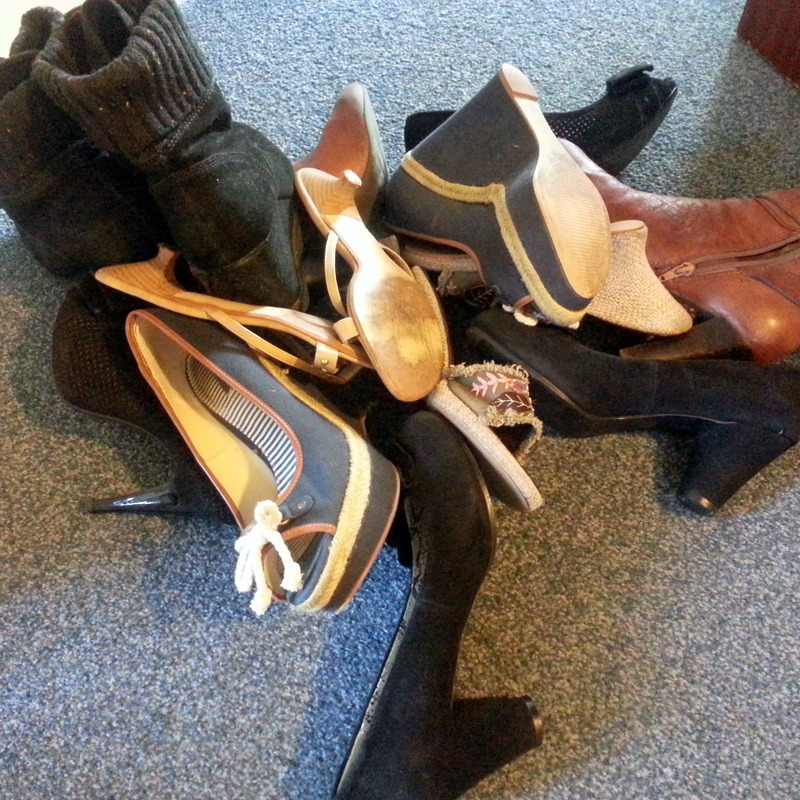 This is actually 7 pairs of boots and shoes that I either haven’t worn in over a year, or that are shabby beyond repair. I recently spent an entire Saturday going through my wardrobe and clearing stuff out – I am planning to draft a couple of blog posts about that, but these shoes were part of the cull. Some went to the charity shop and some had to go in the bin. My favourite brown boots had holes in the toes – they leaked in the rain, and the rain water soaked into the leather at the toe ends. I’ve finally admitted that holey two-tone damp shabby boots are not a good look. We only have one dog but we have 2 harnesses and 5 leads. 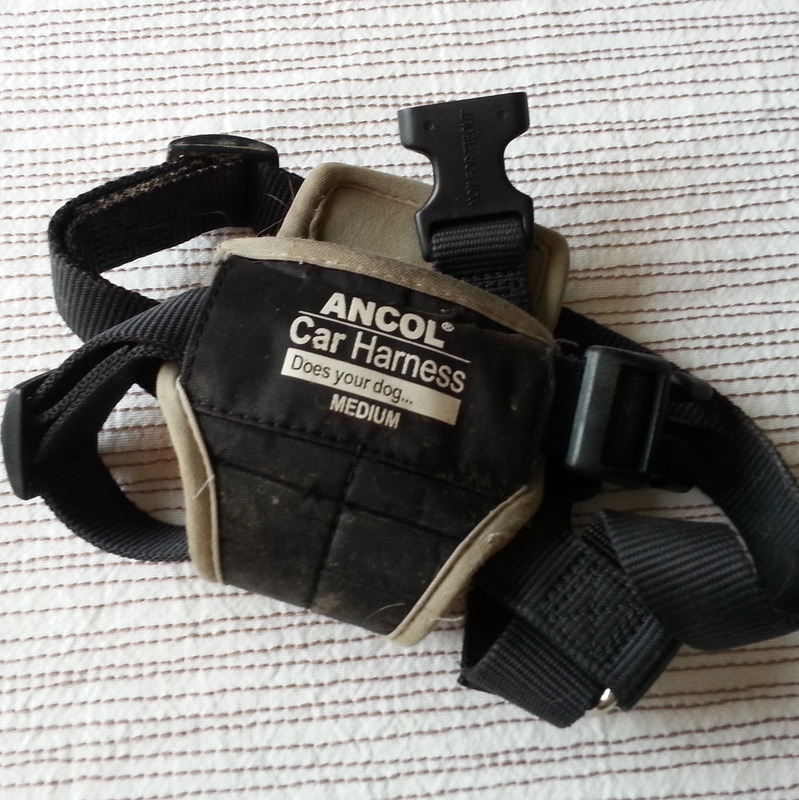 I haven’t braved the task of weeding out the leads yet, but I have got rid of this harness. Changing the world, one step at a time. Minimalism, creativity and other such musings.